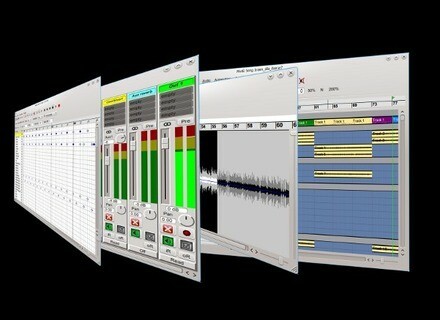 MusE 2.0, General Sequencer from MusE Audio. 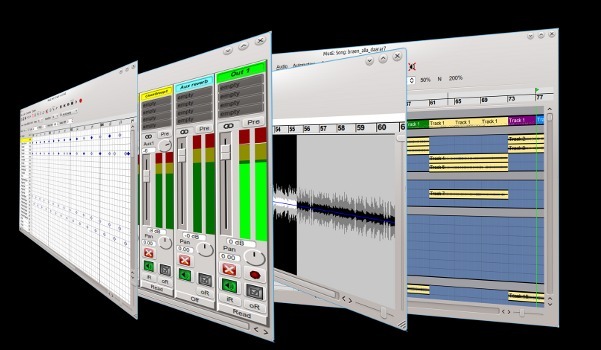 Version 2.0 of MusE, the multitrack virtual studio for Linux, is now available. Moved to qt4, this affects the visuals and potentially improved portability. Graphical automation in the arranger. MusE now defaults to using MIDI through Jack, -A enables native alsa support. New style MDI GUI with a bunch of configuration options to satisfy all tastes. Redone MIDI editing tool dialogs with lots of new functionality. Lots and lots and lots of internal small and big changes to improve stability, speed and functionality. Sync fix: MusE now records tempo changes from externally clocked MIDI. Audio controller playback has smooth frame resolution even with large audio buffers. Feature: MIDI control of audio parameters. Switched to use JACK MIDI. Added: -A switch: "Force inclusion of ALSA MIDI even if using Jack". Added colorhints to iR and oR routing buttons. Templates: File dialog: Lots of changes. Lots of widget focus fixes. Allow loading of DSSI synths in LADSPA browser. MIDI editors: Added "Delta Mode" button to Note Info toolbar. The full change log is available here. Find the download here. Slate Digital Virtual Tape Machines Slate Digital has released Virtual Tape Machinestape emulation plug-in. Quiet Art Wave Rider for Windows Quiet Art has released a Windows version of Wave Rider in RTAS and AAX formats. LSR SK_Drive & SK_Bright LSR audio has released two new plug-ins: SK_Driveand SK_Bright.